At the Law Office of Brian Risley, clients in Springfield and throughout Missouri can turn to sole practitioner and firm founder Brian Risley for experienced representation in a wide variety of practice areas. 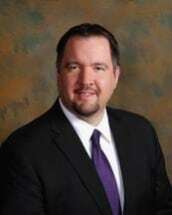 A member of the Missouri Bar since 1999, Mr. Risley has more than 15 years of experience in many areas of practice, including: family law, criminal law, personal injury, probate work, insurance defense and appellate work. Although going through any legal matter can be emotionally and financially challenging, Mr. Risley uses his years of experience to help clients make informed and intelligent decisions that help to resolve their legal issues both efficiently and effectively. Whether confronted with the emotional difficulties of going through a contentious divorce or trying to get your life back on track after a motor vehicle accident, you stand to benefit from the clear counsel and representation of a lawyer who places your interests first and foremost. To learn more about your options and to build a strategy for resolving your legal matter, contact the Law Office of Brian Risley of Springfield, Missouri, and speak directly with attorney Brian Risley.